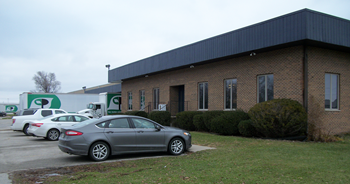 The Paper Corporation was established in 1969, and continues to be a strong source of Fine Papers, Copy Papers, Industrial Supplies, Janitorial Products and Packaging Products. For over 45 years we have dedicated ourselves in offering our customers exceptional products, delivery that exceeds expectations, at extremely competitive pricing. We continually look for creative solutions to lower our customer’s acquisition and carrying costs. In today’s ever changing world, our flexibility, quick response time and desire to embrace change are distinct advantages. We equate our advantages over our competition to the comparison between a cruise ship and a tugboat. A cruise ship is designed to navigate the same way each time without the ability to make changes or a LONG time to change its direction. The tugboat, on the other hand, is constantly turning and moving to complete its tasks. We take pride in being that tugboat, constantly changing and evolving to better service our customers.